Big boats have plenty of upsides. 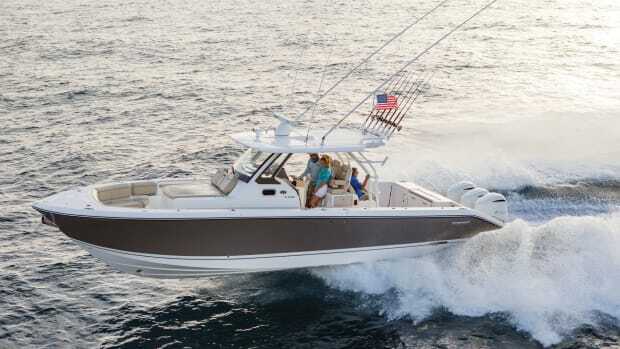 In most cases, they handle sloppy weather better than smaller boats, have more room inside and out, have longer ranges, and are generally more comfortable. But much like a big house stuffed with possessions and a high-upkeep yard, big boats also demand more effort and attention to run and maintain. Smaller boats are generally easier and less expensive to maintain, use less fuel, are cheaper to dock, have simpler systems, and are easier to run shorthanded. 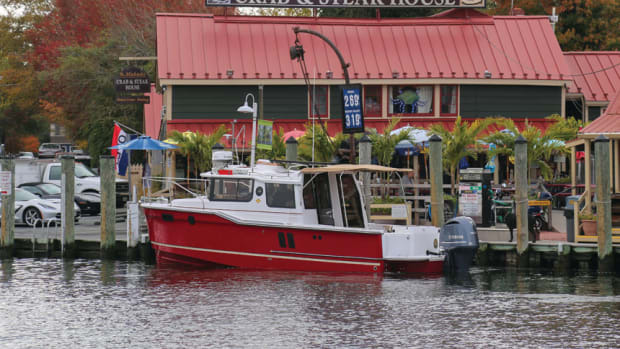 There are definitely trade-offs to downsizing, but some boaters are willing to make them. These four cruising couples recently went the smaller-boat route. Here’s what they like most about their new boats. An Aspen C120 is the perfect cruising boat for Loren and Ann Anderson. 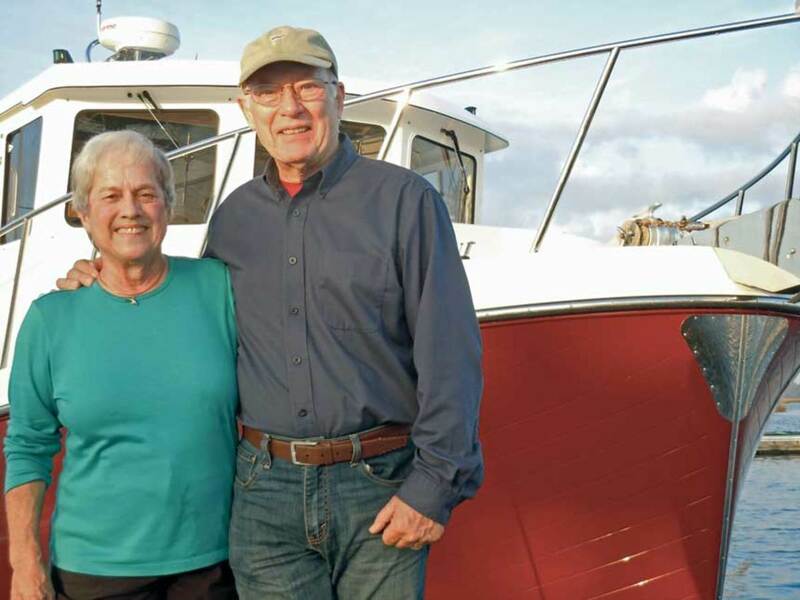 Loren and Ann Anderson have owned a variety of boats, having made the switch from sail to power about 10 years ago when they sold their 44-foot C&C and purchased an Ocean Alexander 54. 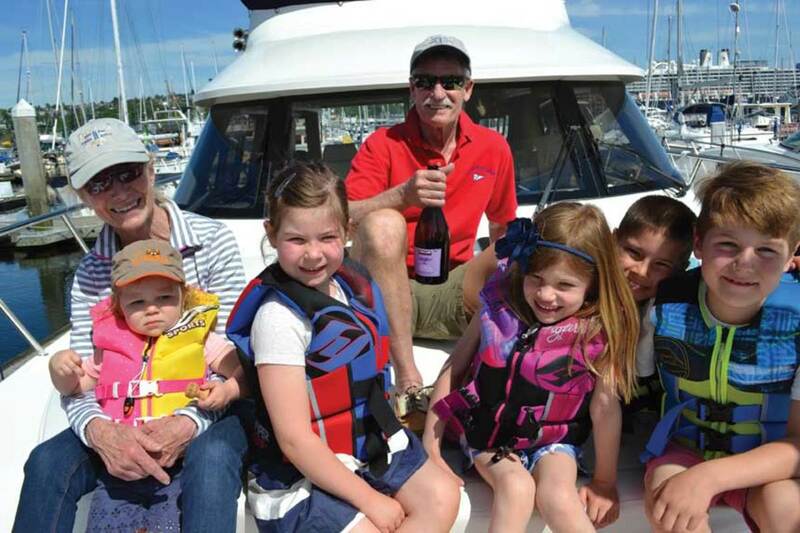 Today, the Seattle, Washington, couple cruises aboard an Aspen C120 power catamaran with their kids and grandkids, anywhere from their home waters up to Alaska. Carl and Vicky Dalton are self-described boat nuts. 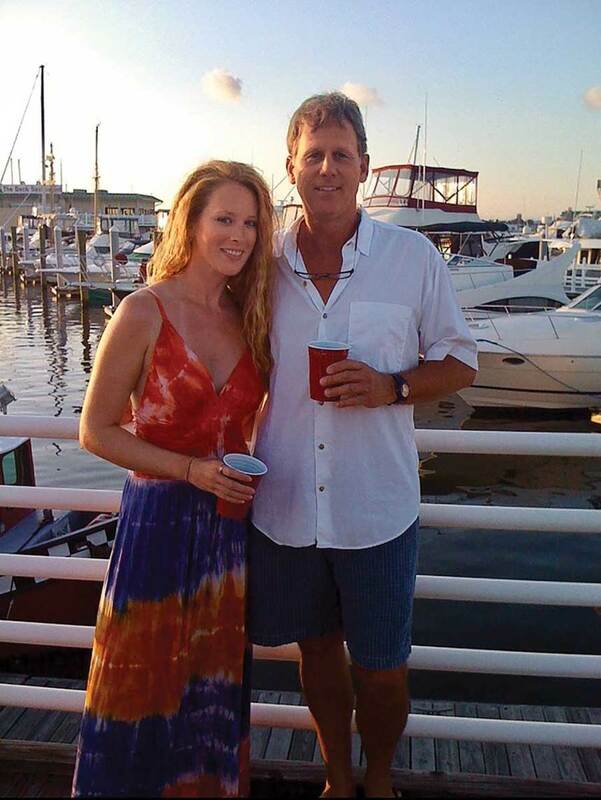 Carl has owned more than 16 boats, including the couple’s most recent boat, a 54-foot motoryacht. 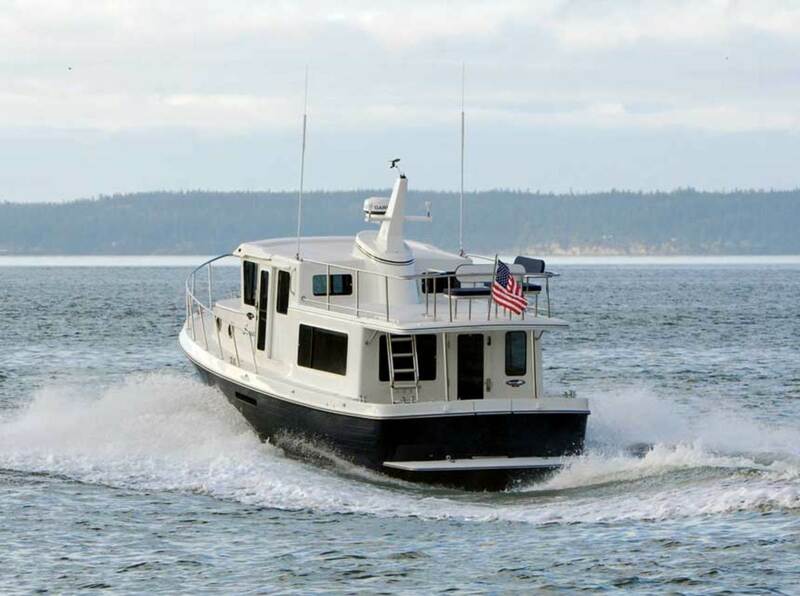 Today, they cruise from their homeport in Vancouver, British Columbia, all around the United States and Canada aboard their Ranger Tugs R-29, which they trailer from harbor to harbor. The R-29 is the second Ranger Tug for Carl and Vicky Dalton. 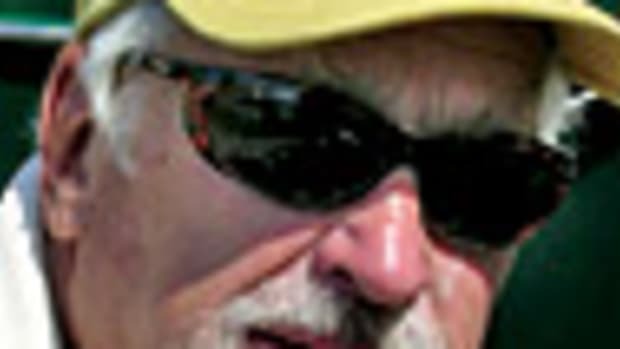 His lifelong dream was to cruise America’s Great Loop, a 5,500-plus-mile route from Alabama to Florida, up the East Coast, through the Erie or Champlain canals to the Great Lakes, and back down to Alabama. 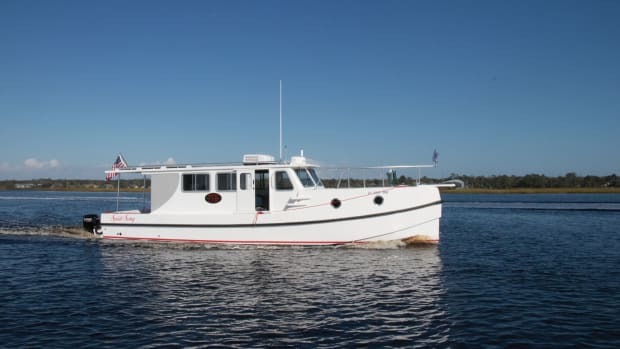 “I looked into shipping the 54-footer down to Alabama to begin the cruise,” he says, “but it would have cost between $35,000 and $50,000, so we started looking for alternatives.” The couple fell in love with a 27-foot Ranger Tug. “We saw one at a local boat show and immediately knew this was the boat,” he says. The Great Harbour TT35 gets 2 to 5 mpg at cruising speeds. 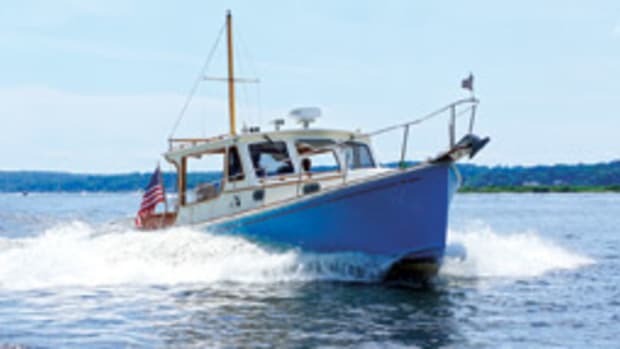 Patrick and Stacy Kennedy have owned and cruised a variety of boats—including a 35-foot cold-molded sloop built in Switzerland, and a Northern Bay 36 trawler—up and down the East Coast, from Florida to New England. 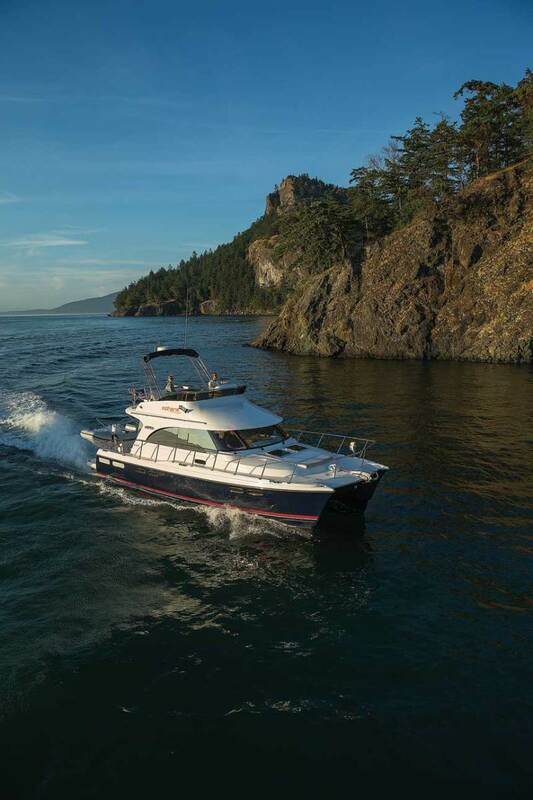 While their newest boat, a Great Harbour TT35, isn’t that much of a length-overall downsize from their Northern Bay 36 trawler, the TT35 is less complicated and more utilitarian than any other boat they’ve owned. Other features the Kennedys like have to do with design. “The TT35 draws only 18 inches and is completely beachable,” Patrick says. “That’s perfect for the Keys and the Bahamas, where we plan on using this boat. It also only weighs around 6,500 pounds, so I’ll be able to put it on a lift at my dock. The boat is highly efficient. 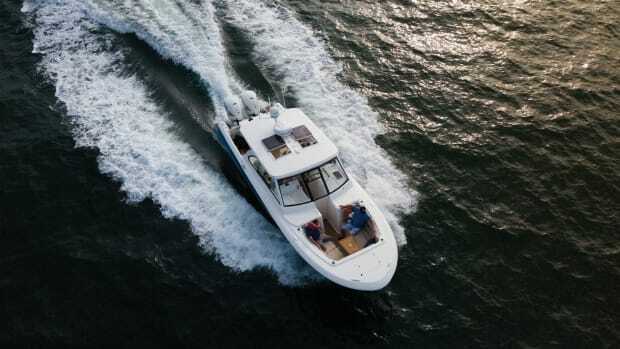 The two 60-hp Suzuki 4-stroke outboards can push the boat up to 17 knots, but 10 to 16 knots is the sweet spot.” The TT35 gets 2 to 5 miles per gallon at those speeds, according to Great Harbour, and has a 1,000-mile range at displacement speeds. 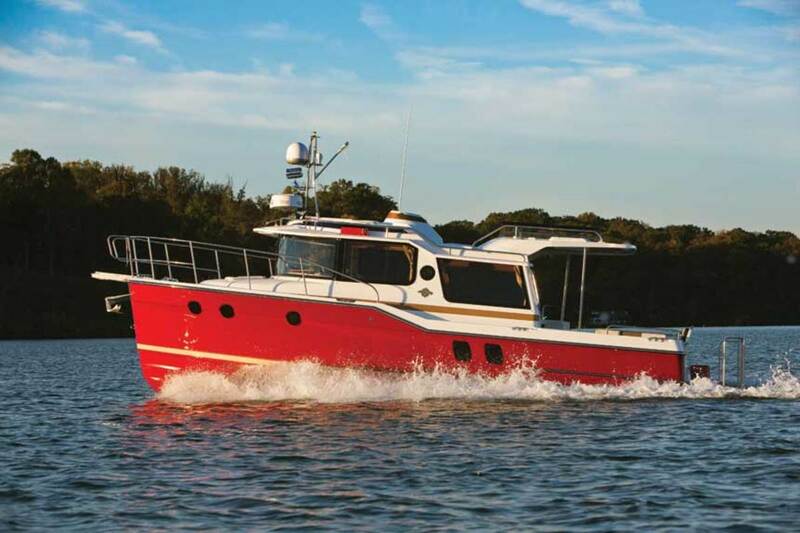 American Tug replaced its 34-footer with this 365. Milt Baker is a big fan of using the right tool for the job. 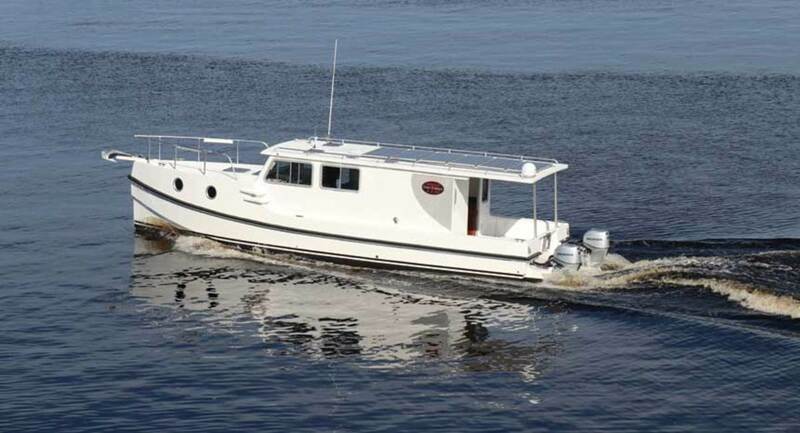 When that task is cruising Maine and the Canadian Maritimes—or crossing oceans—his tool is a Nordhavn 47. 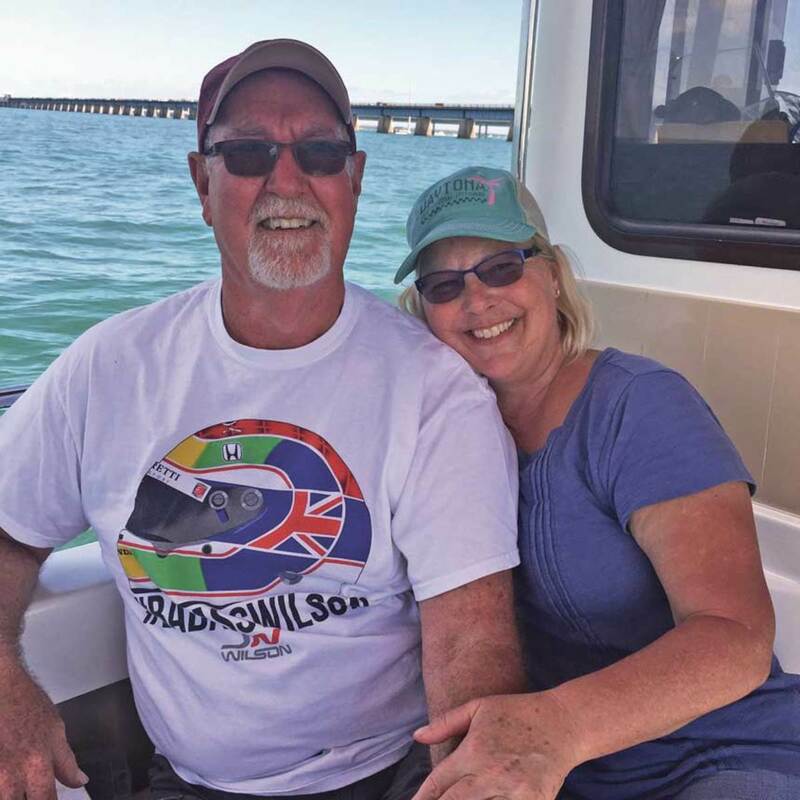 For the Florida Keys, Baker and his wife, Judy, cruise their American Tug 34 from their homeport in Fort Lauderdale, Florida. 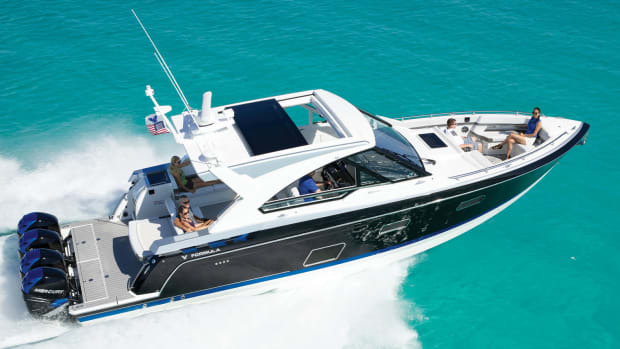 These 27- to 35-foot powerboats are just the right size for cruising and day-tripping. 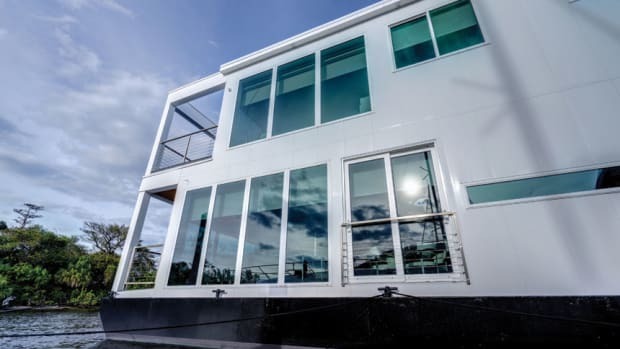 Two stories high and with 2,208 square feet of living space, the Luxuria isn’t any ordinary houseboat. Living the busy life? You’re not alone. Crossover boats make the few precious days you have on the water comfortable and exciting, without all the maintenance. The edges of the Chesapeake’s Eastern Bay blushed with November hues of orange, red, yellow and golden brown as we motored out from Kent Narrows around 11 a.m.
Southport's 33 DC is for boaters who value family fun, fishing and entertaining, as we discover on a sea trial in Tampa Bay. Fall and winter are just around the corner. That means it’s time to ramp up for some of the greatest shows on Earth, at least when it comes to exciting new boats.